Can you believe that we’re halfway through the month of May? As in, we’re approaching Memorial Day weekend people. 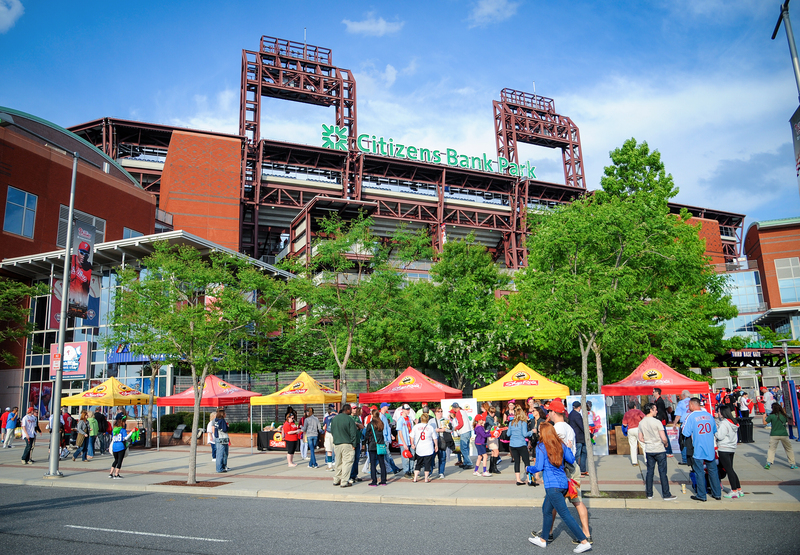 We’re hoping your upcoming weekend plans surround trips to Citizens Bank Park for some good, ole’ fashioned family fun at a ballgame. (There are plenty of games to choose from for our upcoming 11-game homestand.) Anywho, as families and friends start making summer plans, of course, we wanted to make sure you remembered one thing: Hunger doesn’t take a vacation or break during the summer. 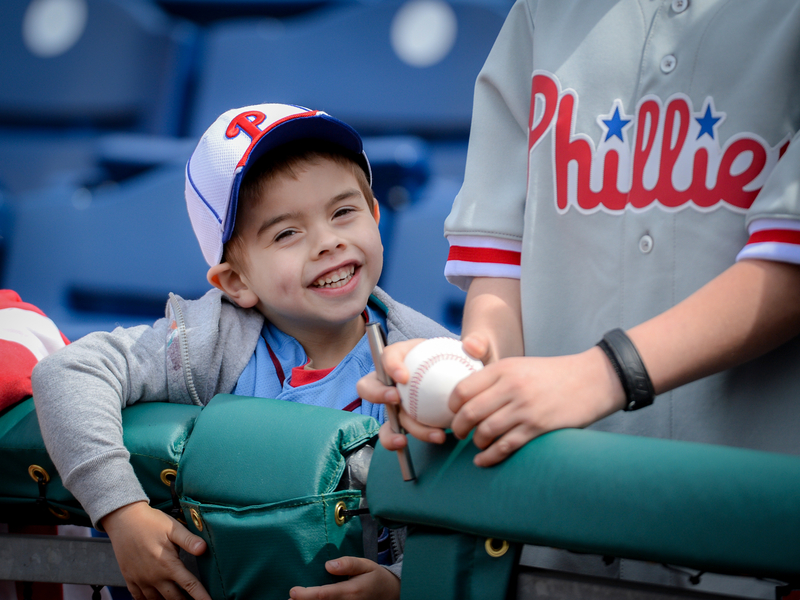 That’s right – families, including thousands of kids, all over the Delaware Valley are in need and we’re asking for your help in our 4th annual Phans Feeding Families initiative, in partnership with manager Ryne Sandberg and his wife, Margaret, and Phillies sponsors. The program, which raises money and collects food to feed nearly 1 million people in our area that are at risk for hunger, benefits Philabundance, the region’s largest hunger relief organization. It’s simple really. Grab some canned goods, peanut butter, pasta or any other non-perishable food item and donate it to the cause. It will make you feel a little like Superman (or Superwoman) as you help us fight hunger in your own backyard. We held the first of many upcoming food drives last Saturday with the ShopRite Partners in Caring Food Drive right on Citizens Bank Way. It could not have been a more beautiful day and fans came out to support our efforts and had an impromptu dance party at the same time. 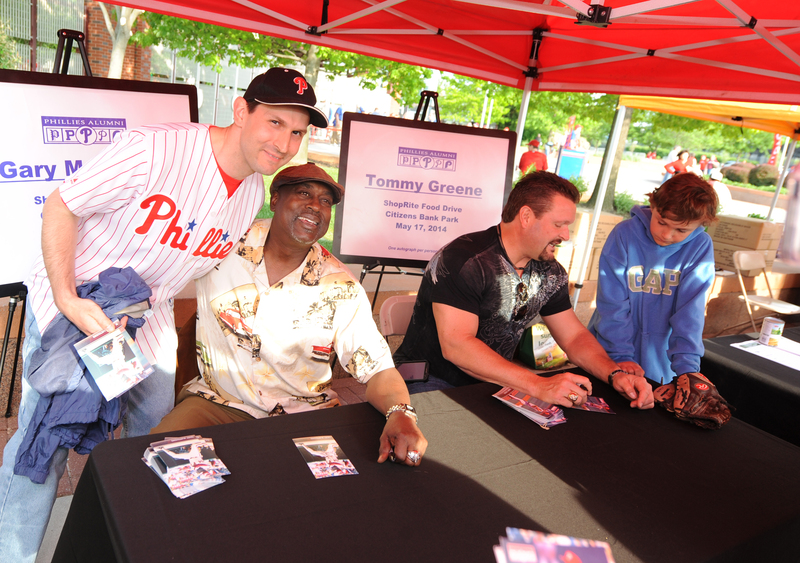 Phillies alumni got into the act with Greg “Bull” Luzinski, Gary “Sarge” Matthews and Tommy Greene lending a hand and signing autographs for fans. 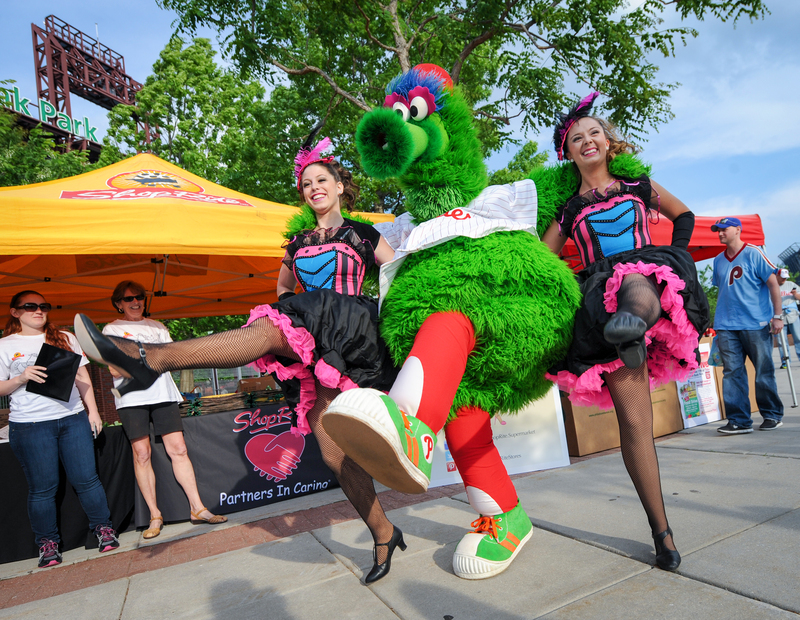 Even the Phanatic joined the fun as he did the Can, Can with some ShopRite dancers and helped fans donating food lift some heavy bags. 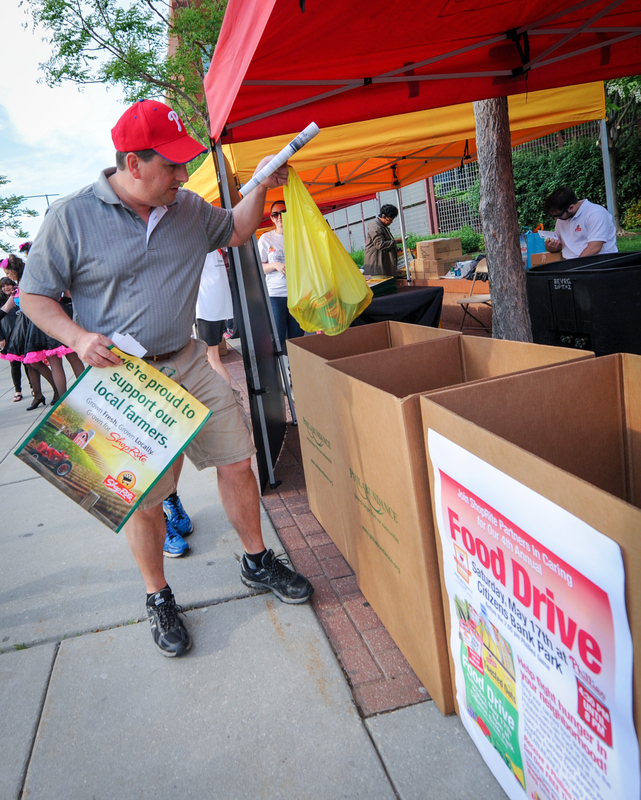 Check out how you can get involved in the Phans Feeding Families initiative, including participating in upcoming food drives and events happening throughout the summer right here. #1. Sweet red velvet suits, guys. He’ll always love his mama. All smiles for Dom, his mom and girlfriend! 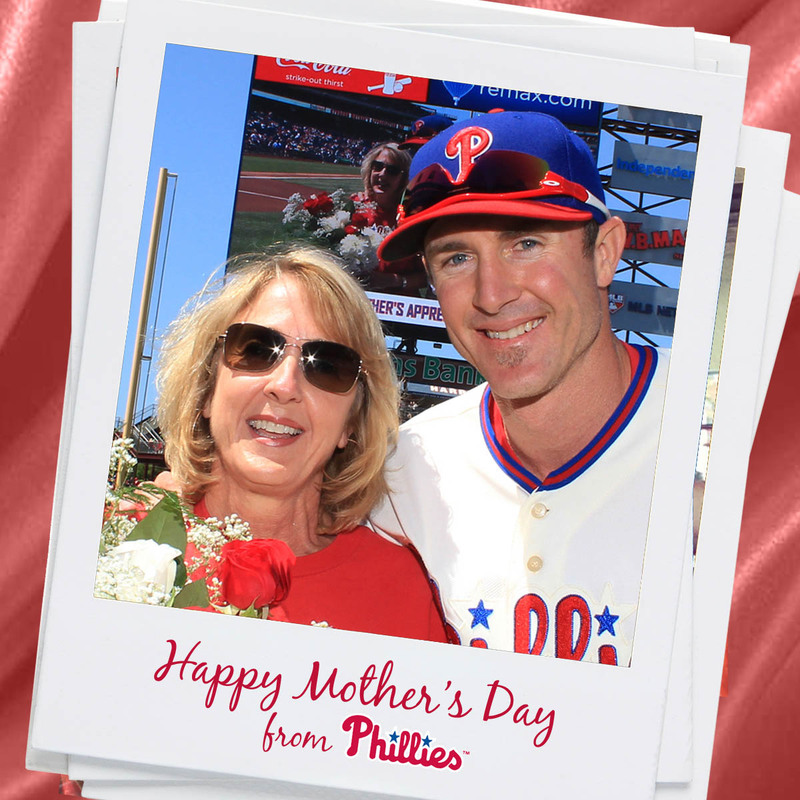 Of course, Chase shows his mom major love. 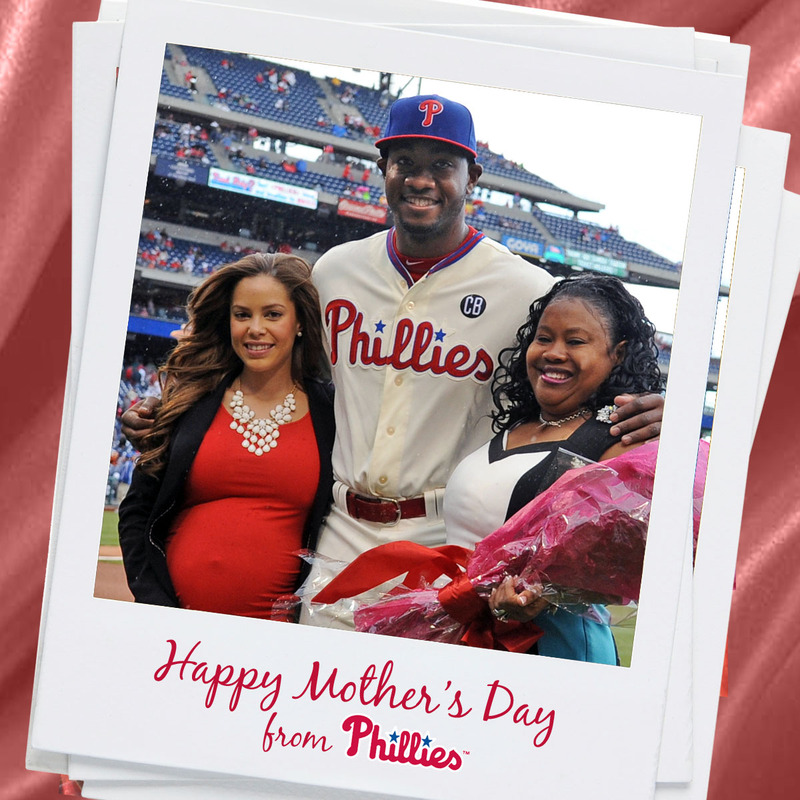 Be on the lookout for posts sent on Facebook, Twitter and Instagram throughout the day of our players and their mamas. Too sweet. Seriously, one of the best Disney/baseball movies ever. Hands down. Also, did you know Matthew McConaughey was in that movie? We forgot too. 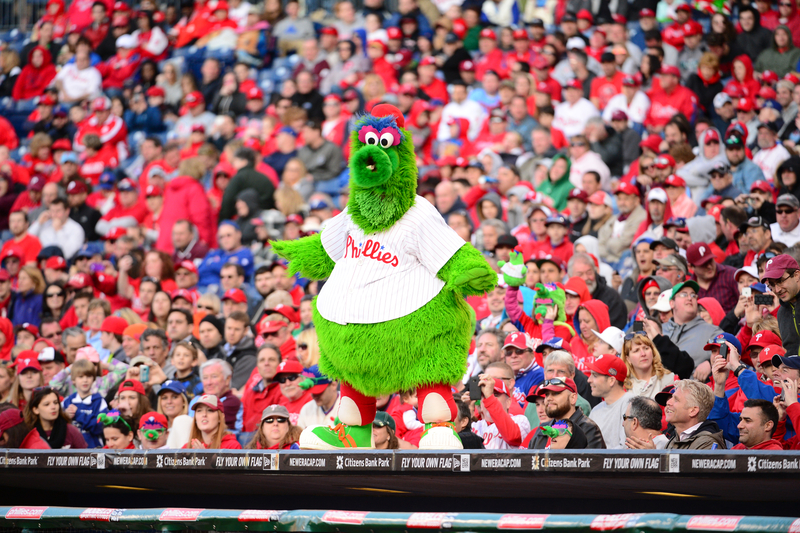 The Los Angeles Angels of Anaheim will head to Philadelphia for a two-game series and some additional interleague play for the Fightin Phils next Tuesday and Wednesday. 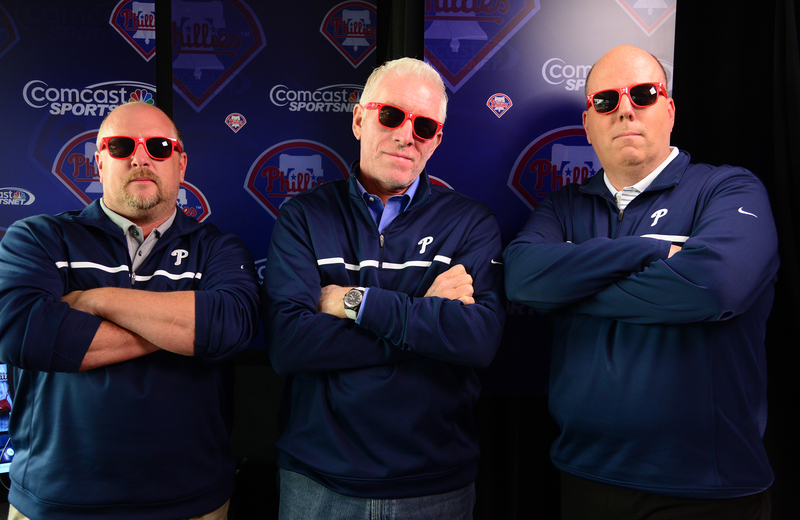 Check out the Wistar Melanoma Awareness sunglasses being given away to all fans at the Tuesday 7:05 p.m. game – as modeled by Phillies Broadcasters Matt Stairs, Mike Schmidt and Tom McCarthy. Lookin’ good guys. 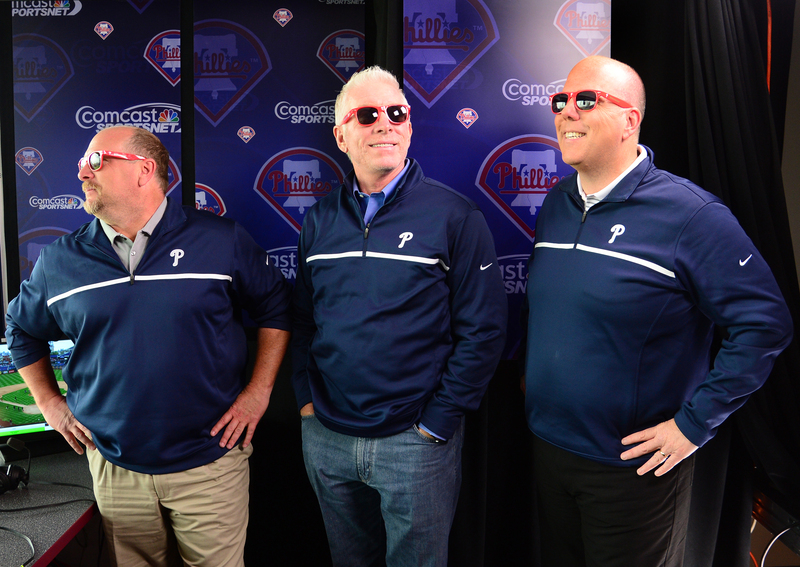 The series wraps up on Wednesday with a 1:05pm Citizens Bank Businessperson’s Special. Do yourself a favor and call out sick. The weather forecast is looking great for some weekday afternoon baseball. We promise not to tell your boss – get your tickets here. Side Note: Seniors be strollin’…around the bases. 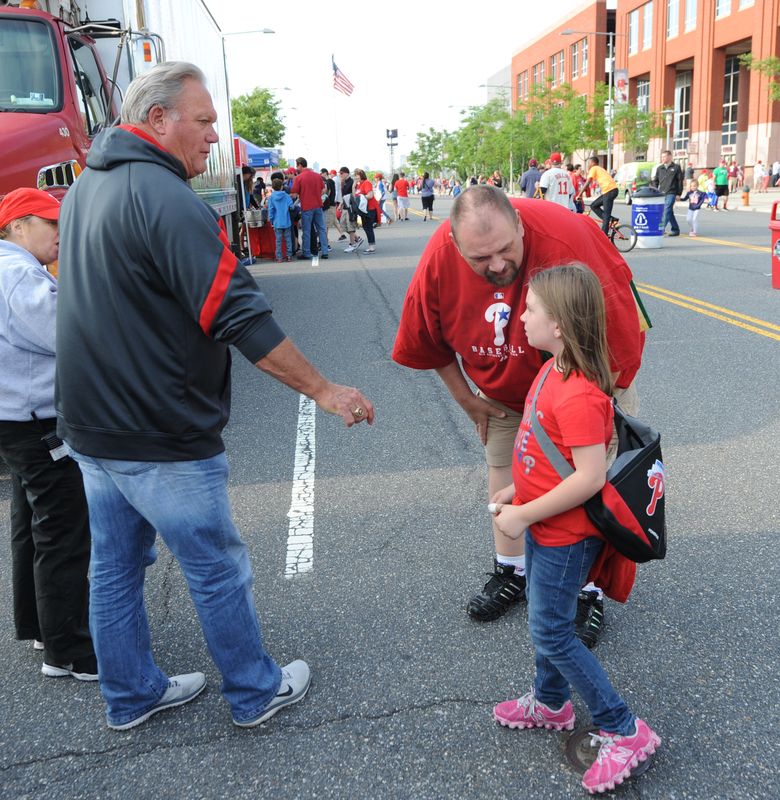 If you’re 55 and over, you better be here to strut your stuff around the diamond postgame for Modell’s Seniors Stroll the Bases also on Wednesday. We knew you wouldn’t make us choose our favorite! Marlon was pretty stoked about his Oyo action figurine. Cody and Jake showed their support for a good cause. And Ryne and Margaret Sandberg visited Derrick Redcay last weekend. 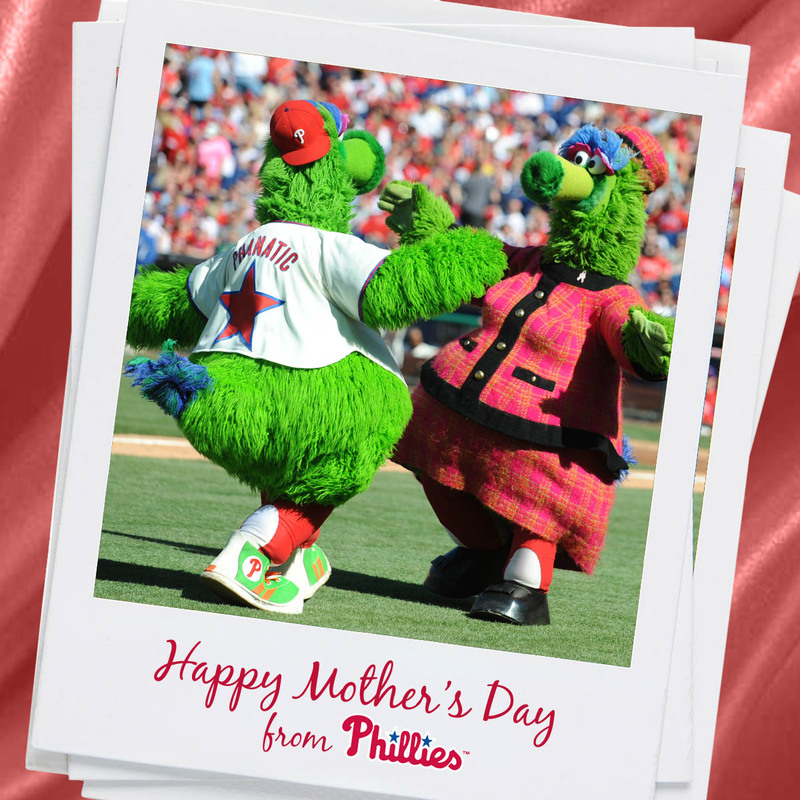 Until next time, have a fantastic weekend and don’t forget about Mom!